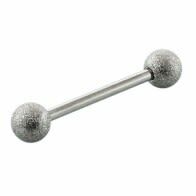 Look and feel great with these beautiful straight barbells in surgical steel, titanium, bioplast, UV and other materials. 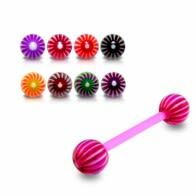 Wear these on tongue, eyebrow and other areas in your body. 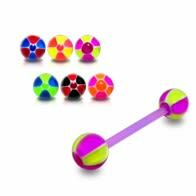 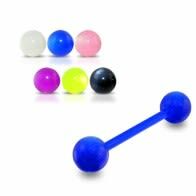 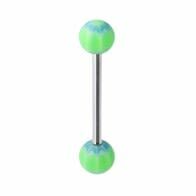 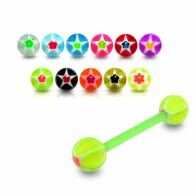 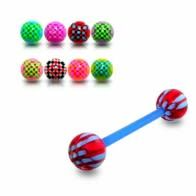 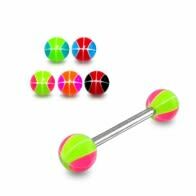 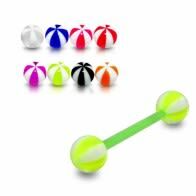 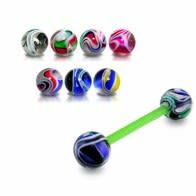 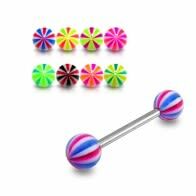 These Wholesale barbells have multi-color round UV balls which make them attention-grabbing. There is one factor that separates Straight Barbells from other popular body piercing options—its versatility. 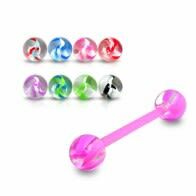 You can use it as a single piercing or as a part of elaborate piercing assortment. 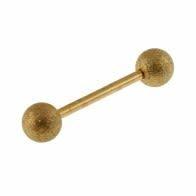 Easy to carry and with an ability to complement most attires, Straight Barbells have been trending for a long time. 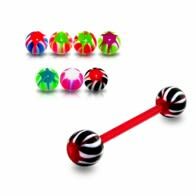 However, we are bringing about a revolution in this segment. 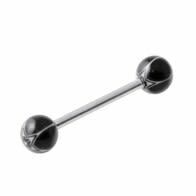 Using creative inputs from the piercing community, scouting the globe for inspirations, we have created an inventory of Straight Barbells that is high on grabbing attention but low on pricing—perhaps, the best combination anyone can seek when shopping for body piercings! 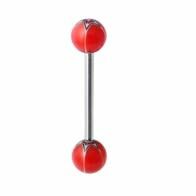 What makes our approach to Straight Barbells special? 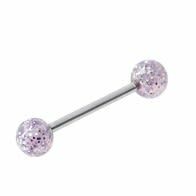 Choosing a body piercing is a personal affair. Being piercing lifestyle fans, we adore when there is more room for personalization. 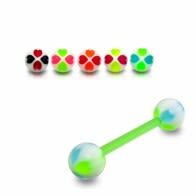 We thrive on creativity. 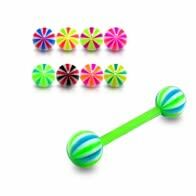 This approach is present in our collection of Straight Barbells too. 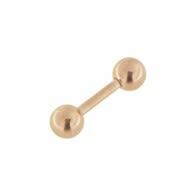 We strive to bring boutique designs that haven’t been attempted by anyone else. You will find designs sported by A-list stars from the world of global sports and Hollywood but at shockingly low prices. 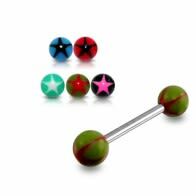 Our approach is driven by a simple belief— Straight Barbells or any designer piercing is not just a fashion accessory, it is statement jewelry, something that defines your persona! 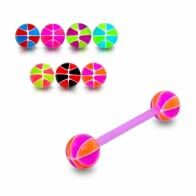 Piercebody’s Wholesale Straight Barbells have No Competition! 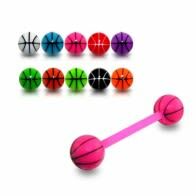 We can make such statements based on factual information. Our range of Straight Barbells is now global. 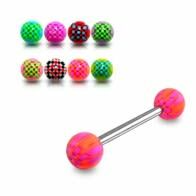 We are regularly processing orders from resellers and shops located across the globe. We are the primary wholesale body piercing providers for many premium online lifestyle stores. 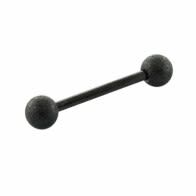 Straight Barbells happen to be a part of our staple supply chain, engaging serious volumes every week. 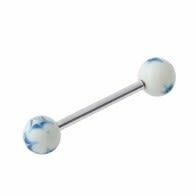 The straight bar & bead design seems to be adored by people of all age groups. Apart from the wholesale pricing advantage, you get the latest in piercing bead layout. 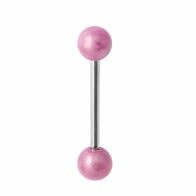 For instance, our Straight Barbells come with beads that can be easily unscrewed. 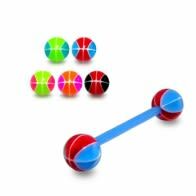 This means you can groom your own collection of Straight Barbells, easily remove and swap them according to the occasion. 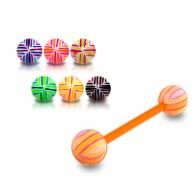 We use the global standard in this segment, i.e. 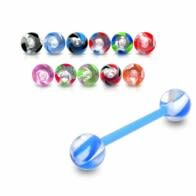 ‘step-down threading’ that ensures 100% safety. 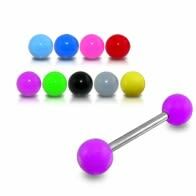 We have democratized the piercing marketplace, breaking through the practice of only standard designs being sold. 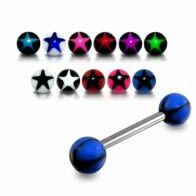 Now, you can demand Straight Barbells in various, assorted colors, some even with jewels and gleaming, precious stones. We offer genuine, quality-certified Straight Barbells made with the best materials in this segment. This means the use of G23 Grade Anodized, 925 Sterling Silver, Bio-flex, Surgical-Steel, Titanium, BioPlast, and colorful UV options. 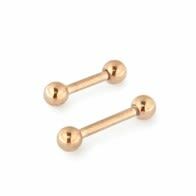 Why purchase Straight Barbells in bulk from Piercebody? 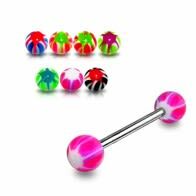 Piercebody is considered as a genuine direct-from-market online store. 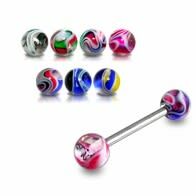 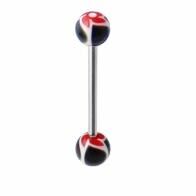 It has international patronage with great recall and brand recommendation value in the piercing community across the world. 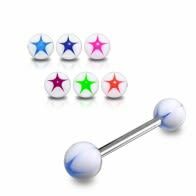 Piercebody.com is the fastest growing online destination for exploring the latest body piercing styles. 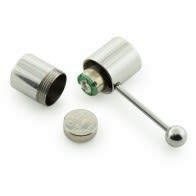 Our in-house team aims at crafting unique designs using the finest materials that have been strategically tested for skin-related safety and maintenance-free attributes—all of this at unbelievable wholesale pricing and international shipping services!